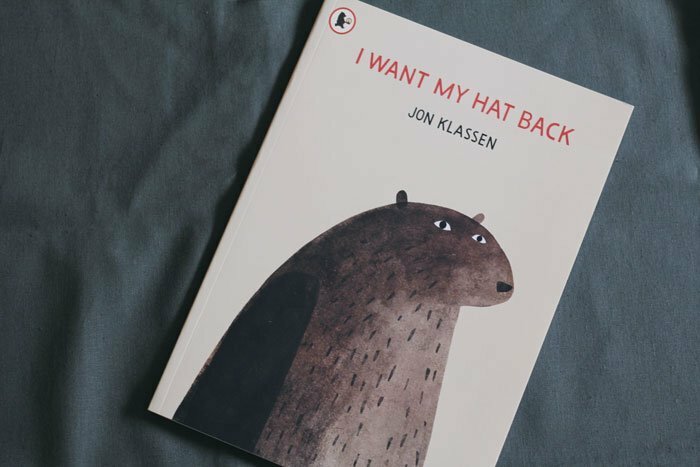 This week at tiny & little, we’re loving this book by Jon Klassen – I Want My Hat Back. This was a recent addition to our home library for Littlest’s birthday, which I couldn’t resist as we’re already fans of This is Not My Hat, and it has been read more times than I can count. In this beautifully illustrated picture book by Jon Klassen, the big brown bear has lost his hat and heads on a journey to find it. Each time he meets a character, he asks about his beloved hat and the answers make the little ones laugh. Pictures do say a thousand words so the story isn’t text heavy but has much for children to enjoy. It’s a fun book that can be enjoyed by preschoolers as well as junior readers, and the limited amount of text lets them be part of the story. Here at tiny & little, I read as the big brown bear and Mr Tiny, Mr Little and Littlest each voice characters throughout the book which delights them no end. There’s also a very mischievous twist at the end of the book that makes the little ones giggle. Normally I would give a peek inside the book, but for this week I’ve put the book trailer below instead and am going to share a special spot online with you – Jon Klassen is one of the artists featured on the Nucleus Art Gallery and Store, and through this store you can buy beautiful prints from I Want My Hat Back as well as some of his other illustrations. You can check out the store here. These would be a stunning addition to a child’s nursery / bedroom or playroom! Do you have Jon Klassen fans in your home too?